Over the course of the last few years, we’ve seen Y/Project send suspender-style jeans down the Paris runway, Donatella Versace debut a pair of über meme-worthy boots that literally make it look like your pants have fallen down, waistlines plummet to the point where not getting a wax isn’t an option (s/o Charlotte Knowles), and Vetements’ skewed, patchwork Levi’s basically take over the world. Surely there’s nowhere left to go when it comes to our in-depth exploration of denim, right? LOL! Wrong. 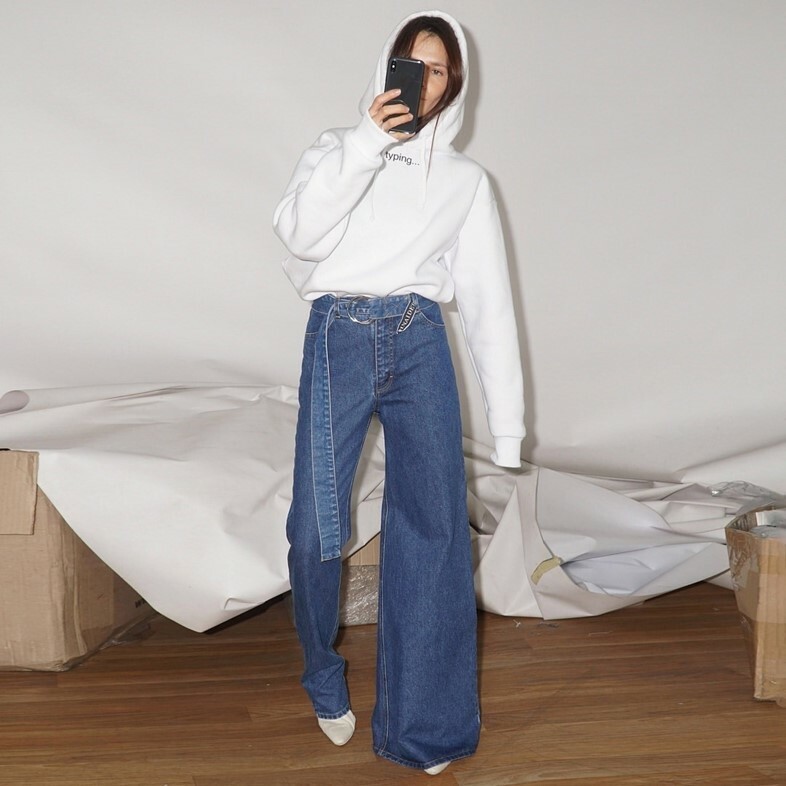 Coming to an Instagram feed near you in the year of our Lord 2019 is the asymmetric jean, which, admittedly, doesn’t suggest anything out of the ordinary when it comes to name alone, but keep reading okay? Comprising one slim leg and one wide leg, the high-waisted style is the latest addition to Ukrainian designer Ksenia Schnaider’s line-up, and takes the 50/50 trend that was everywhere last summer in a new and unanticipated direction. Can’t decide between your mom-jeans or your flares? Rejoice: thanks to Schnaider, now you’ll no longer have to. The style follows in the footsteps of the designer’s demi-jeans – a kind of jorts-and-jeans mash-up – which added fuel to the viral fashion fire last summer, and found fans in Bella and Gigi Hadid, Adwoa Aboah, and Dua Lipa. The divisive style sold out around the world: but for every person dying to get their hands on a pair, there was someone else ready to drop a ‘WTF?’ on Schnaider’s latest post. Is she trolling us? Possibly. One thing we're sure of, however, is that Schnaider's asymmetric jeans are coming soon to a meme (and likely a Hadid's Insta-feed) near you.